I have admired the great vintage clothing from Shabby Apple for awhile now, so I was super excited when they contacted me about reviewing a dress and hosting a giveaway. There were so many cute dresses on the site that it was hard to choose which one I wanted. I ended up going with the bright Cockeyed Optimist dress. I found some great jewelry to go with it from Charming Charlie and it was comfortable and easy to wear to work. I received tons of compliments and loved wearing the dress. With all of that said... now on to the good stuff-- the giveaway! 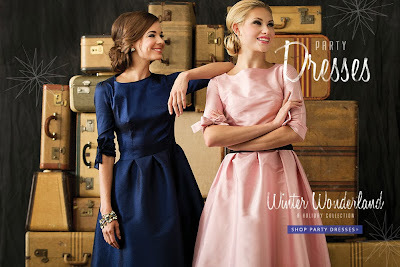 Shabby Apple has graciously offered one lucky winner a dress of their choosing from their selected giveaway list. The winner will receive a list of links to dresses and will be able to choose the dress she likes best. 3) Leave a comment telling me you did both. Don't forget to include your name and email. The giveaway ends Sunday, December 1st at midnight. Good Luck! We continued talked about verbs on Friday. This time we talked turkey verbs. We also acted them out. I know this picture is blurry, but it made me laugh when I looked out from reading my story and there was my little one with her turkey headband on upside down. Turkeys I am Thankful For!! We made turkeys and wrote about something they can do. We ran out of time Friday with our feast and program so these never made it to the bulletin board. Here are a few of my favorite turkeys. Lol. This student decided this turkey needed a tongue not a waddle. I don't even know what to name this turkey. He doesn't have a waddle or a tongue. I am not sure where this turkey's feet went. This picture is totally unrelated to anything, but sometimes we just have to share personal stuff about ourselves. One of my best friends just got married and I was a bridesmaid in her wedding. It was a big wedding and tons of fun! And a little plug for the photographer George Dean. I love this picture! We used the book The Little Mermaid today to learn more about verbs. We used this version from Barnes and Nobel. It was short and simple with great illustrations. I found it in their bargain section for $7. As we read the book we pointed out verbs (action words) and acted them out. Then we brainstormed a list of action words for the things mermaids do. I made writing starters for mermaids and mermen. I did not make my girls be mermaids and my boys be mermen. I let them choose which one they wanted. I had a lot of boys who wanted to be mermen. We drew pictures of mermaids and mermen, finished a sentence with a verb to show what our mermaids and mermen were doing, and glittered potion bottles just for fun. Of course the fun glittering idea came from my glitter friend Shelly. She has kindly agreed to share her potion bottles with everyone, so click here to download them from Google Docs. Thanks Shelly :) You can click here to download the sentence starter too. Here is what we did in science with positional words yesterday. We went outside to the playground and I placed students in different positions. Then I had my class tell me where the student was located using positional words we had learned. I took pictures of the students in each spot then we labeled them in the classroom. This bulletin board has turned out to be a lot of fun because all day I have heard kids say things like "Look at Massamba. He is really far away." "Look at R.J. He is under the bench." We started the lesson by going out to the playground and sitting around a bench while I read the book What Game Shall We Play? In the book, all of the animals want to play a game, but don't know what game they should play. They look all over for different animals to ask. Each page is full of positional words that describe where the animals look for and find each animal. Here are a few of my favorite pictures. This week we are learning about positional words in science. 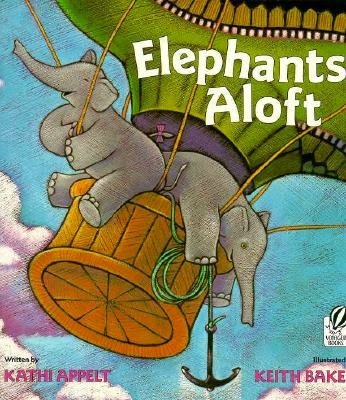 Today we read the book Elephants Aloft. After reading the book we drew elephants and acted out the different positional words in the story. My students drew, colored, and cut elephants out from sheets of manila paper. I placed the hot air balloons around a bulletin board. Then I added the elephants. We sat as a class around the bulletin board and discussed the position of each elephant. We labeled the elephants together. We just can't get enough turkey in our room! I guess it's because I have a room full of little turkeys!! Lol. The cutest little turkeys in the world that is! Today we read my favorite Thanksgiving book- A Turkey for Thanksgiving. We predicted what we thought the story would be about and then retold the story by acting it out. This story is one that easily lends itself to dialogue by the students. It was easy for them to speak for the animals by saying "can I go with you to find turkey," "I saw a fat turkey by the river," "will you carry me with you", etc. My kiddos had a lot of fun acting out this story. They loved being turkey and trying to run away. 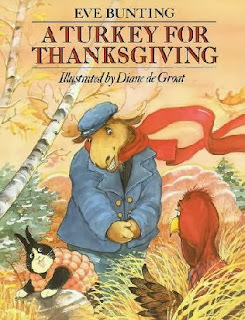 I loved their ideas for other ways Moose could have caught turkey- introduced himself so then turkey would introduce himself back, dress up like a turkey himself, hide in the bushes then reach out and grab him, and tip toe to sneak up on him. Here is one of my little turkeys trying to run away. And here she is... a happy turkey at Thanksgiving dinner. My student's sequenced the story using picture cards and then retold the story with their elbow partner. 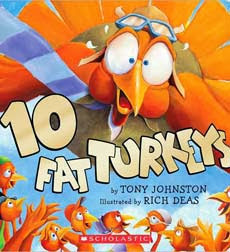 We read 10 Fat Turkeys and retold the story using a fence and 10 little turkeys. Do you love my little turkey in the middle?? This week we are moving up to the numbers 11-15. We are also working on counting up and how many fives are in the number we are working with. We started out with a few numbers less than 10. Then we focused on the numbers 11-14. I made these large 5 frames the same way I made my large ten frame. 1) Tape off the entire edge of the long strip of bulletin board paper. 2) Use a yardstick to mark off the boxes every 13 inches. 3) Tape over the lines made to mark off the boxes. After we worked with groups of five as a whole, my students practiced independently. First they made their own turkey five frames. Then they rolled a die to see how many ones they needed. We only used the numbers 1-5 today. If they rolled a six then I had them roll again. You can get all the turkey resources for both these books as well as the ones I plan on using later in the week with Turkey Trouble and One Little, Two Little, Three Little Pilgrims here.